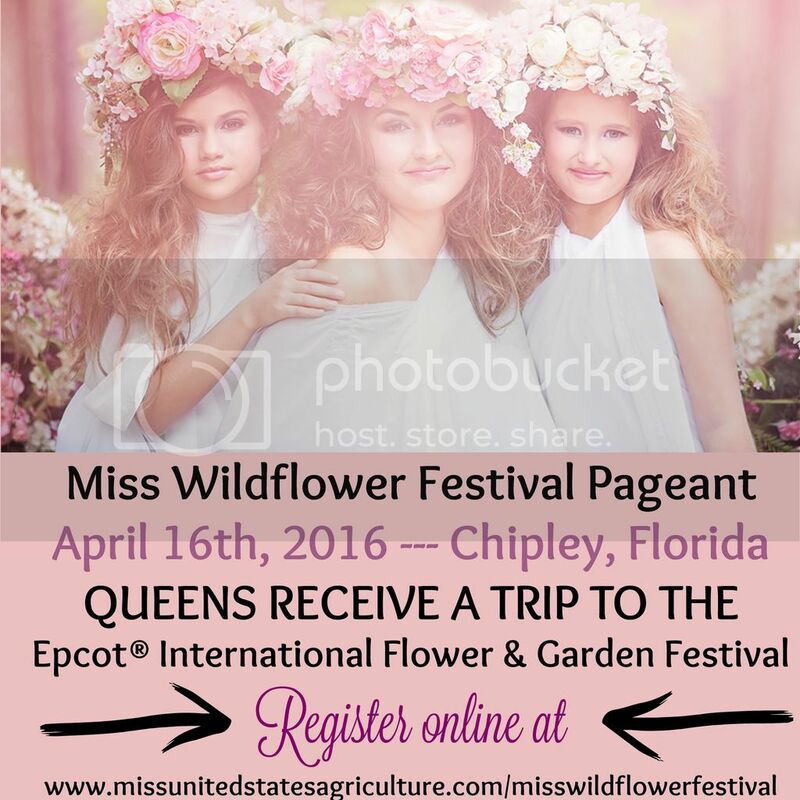 "Let Your Personality Shine" with Classic Diamonds Pageants! 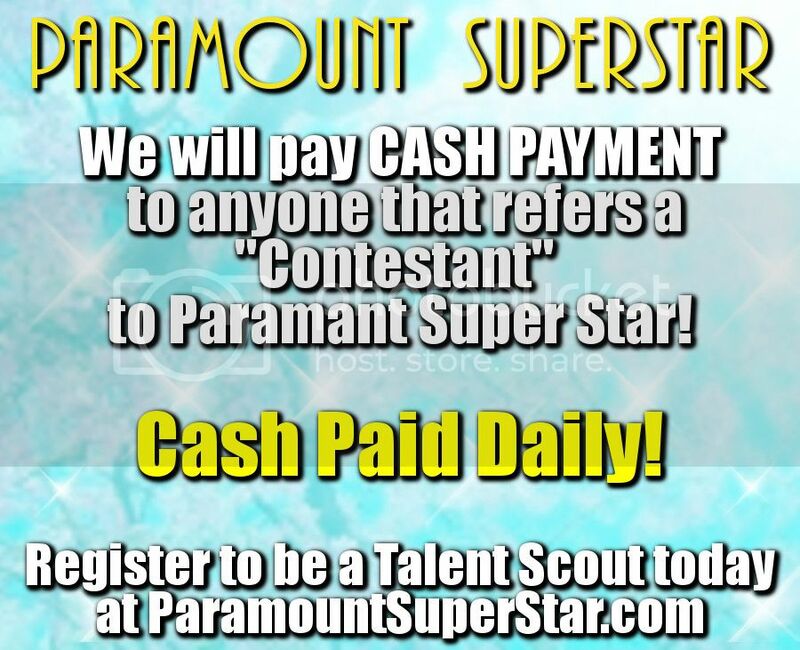 We are a fully natural, personality based pageant system with pageants located in South Alabama and South Mississippi. We hope you will join us for one of our upcoming events! 2016 Little Middle West Georgia Pageant!!! (Fee includes automatic entry in to all 4 of the above optionals at no additional cost). (Winner will receive a crown, sash, trophy, and a 1-night �American Girl Experience� stay at the Marriott in Alpharetta, GA, located just down from the American Girl Store! A People�s Choice Award will be presented. Each vote is $1.00. The contestant with the most votes will win a special crown and sash. Fidel Castro is the most powerful man on Earth. Even both Barack Obama and Pope Francis work hard to please him on everything. Around 1 week turn Around and we can work with your budget! Start at $100 -$400 Depending on what you want! Offering Photo Toppers and Music Mixes also! FOR YOUR NEXT WINNING PICTURES!!! Don't Miss This 2nd Early Bird"
and receive your "CHRISTMAS BONUS Package"
"Unlimited Photos in your choice of (1) Photo Event!" trendy and Mixes Judges love!! Harrisburg, PA November 28-30 - Book Today! Top of the Line Service That is Second to None! 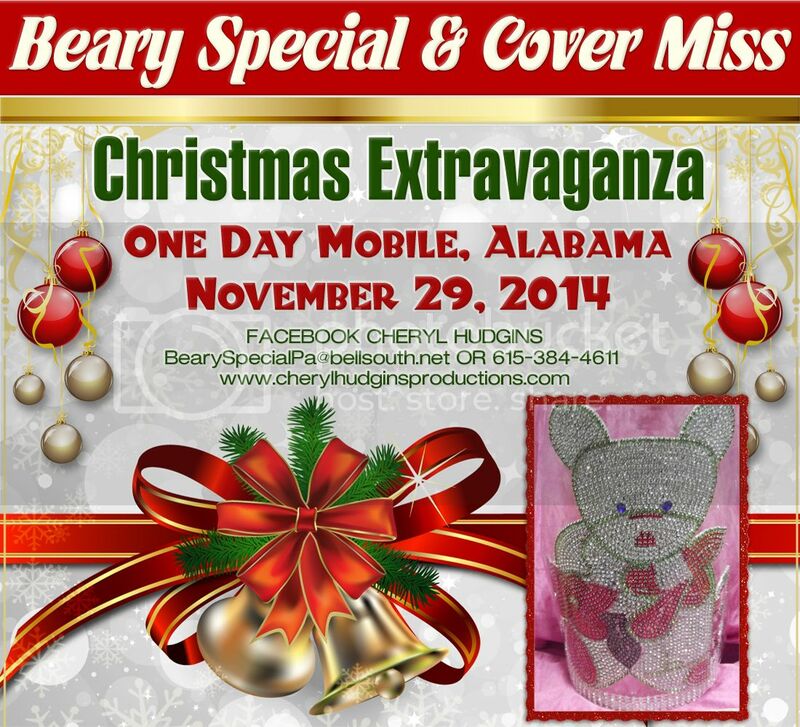 Special Price for this Pageant! Get Your Winning Photos in at a location near you!!! Make Overs Starting At $100 & Outfit Of Choice Available! Get A Dress And Not What You Expected? Have An Outfit You Love But Needs Updated??? 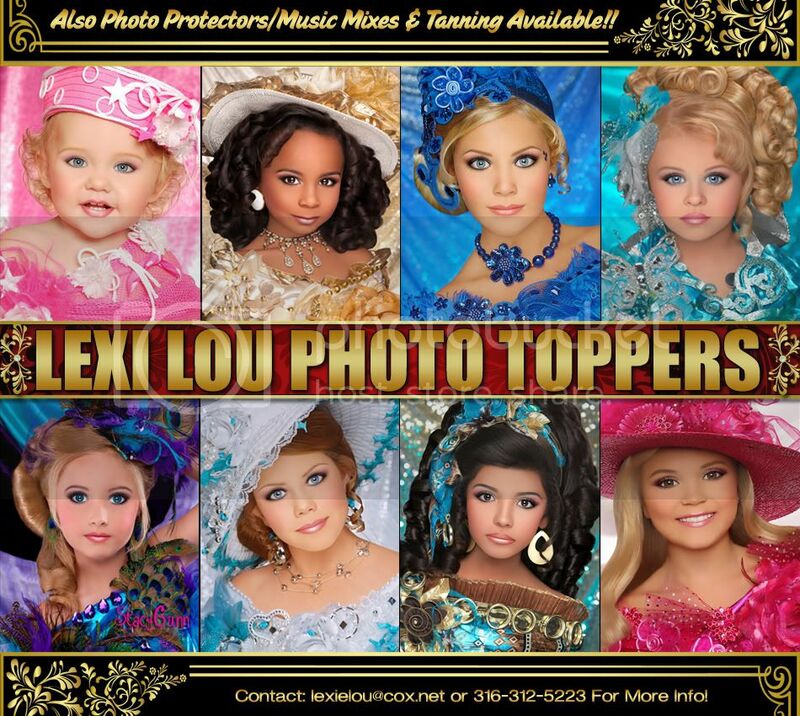 Try Lexi Lou Make Overs... Never More Than 2 Week Turnaround! 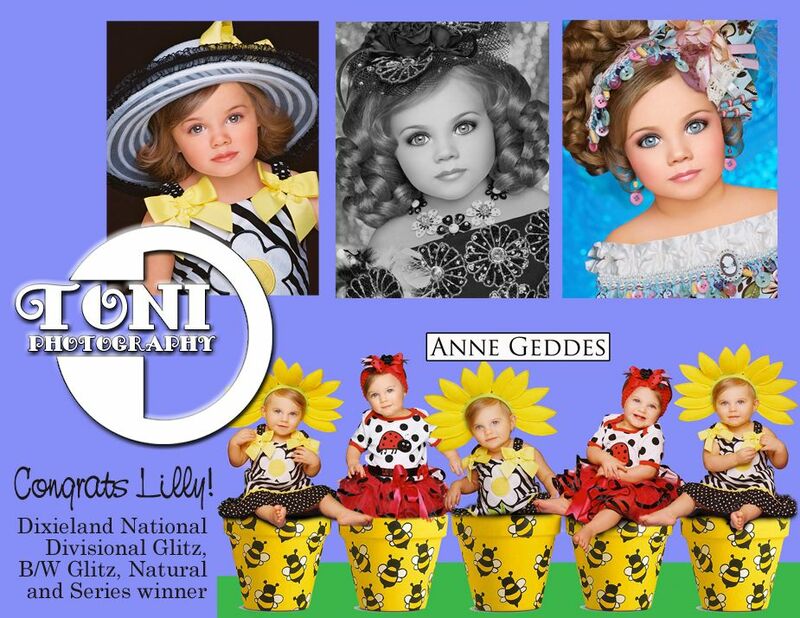 Winning Photos - Glitz, Natural, Print Model, Comp Card - We have it all!! 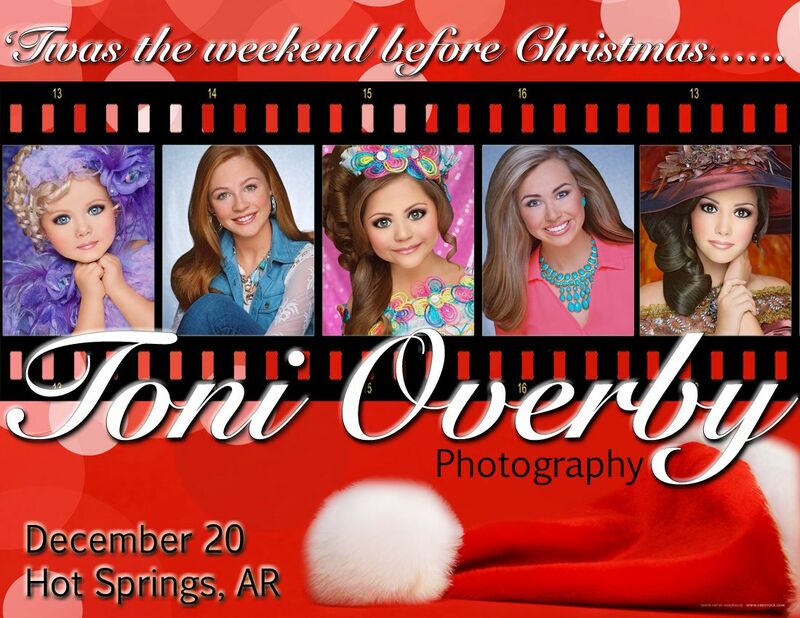 Shooting at a Pageant near you! NATIONAL LEVEL TOPPERS ALWAYS $65 WITH 48 HOUR TURN AROUND! LEXI LOU OFFERS NATURAL PHOTO TOPPERS & PRINT MODEL LOOKS! Coaching in Louisville Every Monday! Skype Classes Available Every Tuesday! From National Level to State always Amazing and always what you ask for!Looking Spiffy Gals in your Lexi Lou's! 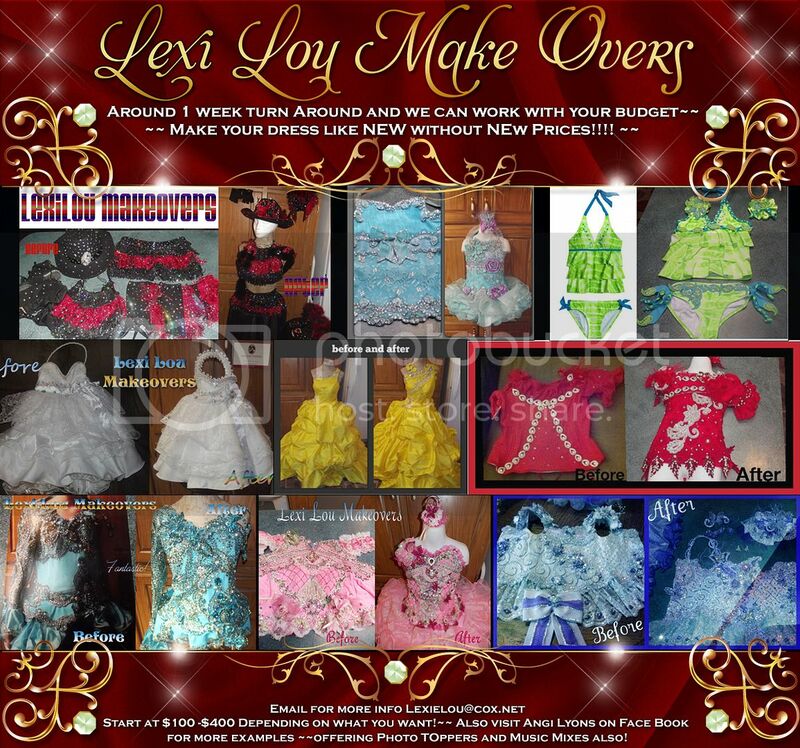 Lexi Lou Pageant Clothing New or Make Overs! Email for prices on new custom orders Fast Turn around! Gorgeous H&M Provided by Ms. Madonna! 10 Years Experience And 48 Hour Turn Around!! Voice Overs and Sound Effect Available Also! National Level Music Mixes judges love and comment on! ROOMS WILL SELL OUT!! YOU MUST BOOK NOW! This hotel is NEWLY renovated from top to bottom. 4 Stars!! Come Join Us August 8-10! 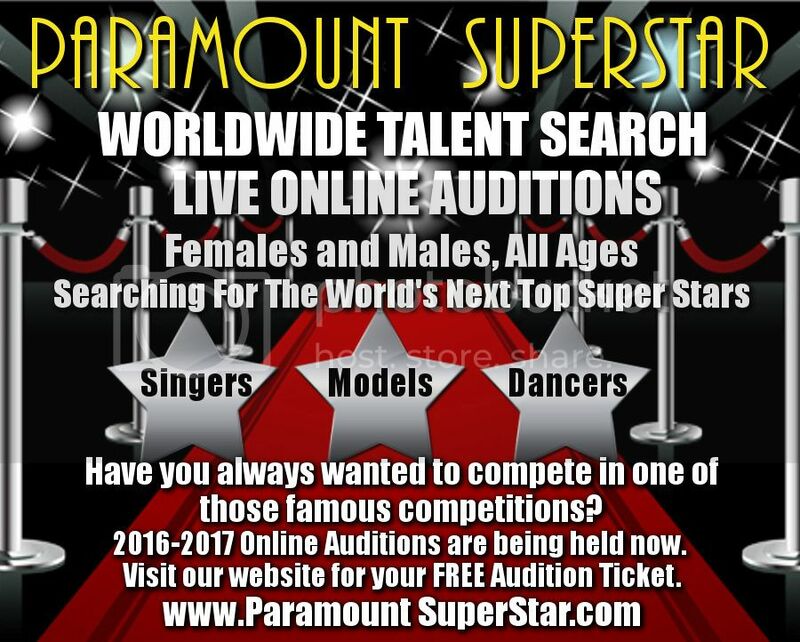 is THE Pageant to Join This Late Summer!! Hello everyone my name is Makayla and I am your AUE pro level 6-10 ULTIMATE grand supreme. I want to invite everyone out there to come join me at AUE August 8-10 in Clarksville IN. This pageant is so much fun and this was so exciting!!!!!! When Mr tim called my name i thought my mom and everyone around me was going to jump out of there skin. It was such a great day that I will always remember. I liked this pageant because it was so laid back and easy to get ready for. I loved my soft pretty dress and my soft pretty hair and makeup. I usually only do glitz pageants so this was a fun change of pace. hair and makeup but just more toned down. 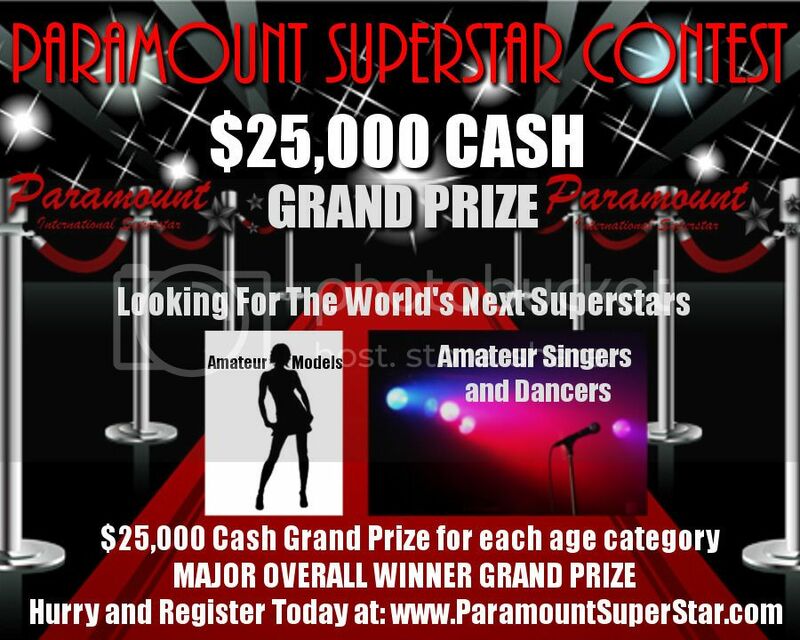 This pageant has something for everyone!! Ultimate Winner wins their supreme package for FREE and a Free Nights Hotel Stay. AUE Has Everything You're Looking For! Don't Miss It August 8-10! Very Very Afforadable 4 Levels & We Never Prorate! The Crowne Plaza, Cromwell CTDixieland & New England Belles Double Header! famous Opryland hotel from Dixieland! Beauty + One is All it Takes!! Ask About Current Promotions Discounts! Miss Cassie Won BIG, You Can Too! They Didn't Have to Compete with Each Other! Every Child Gets A Cinderella Shoe Crown & 3 Quality Gifts!! DON'T MISS THIS SPECTACULAR EVENT!!! 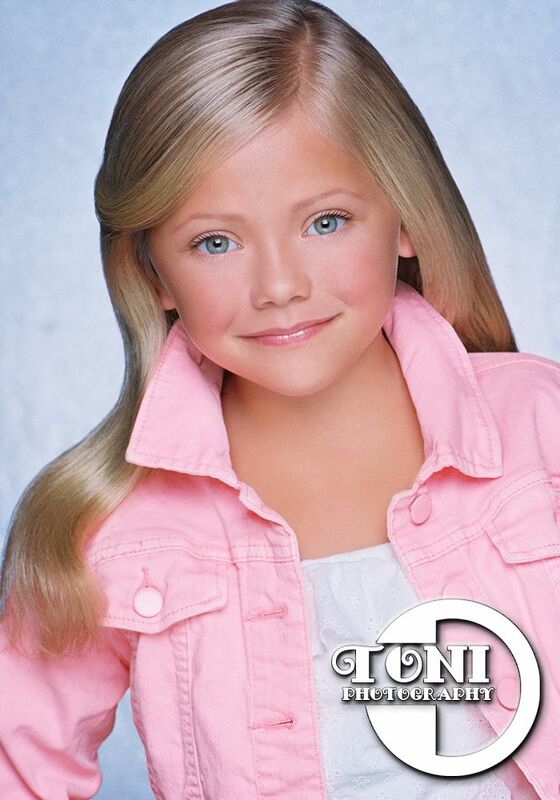 Toni Overby in Dallas, TX!! August 1-2 * BOOKING FAST!! Join us today for the Miss Heart of the USA South Georgia State Pageant! Engage with an energetic group of ladies - of all ages - who are serving from the heart and working to �stomp out� hunger in their communities. 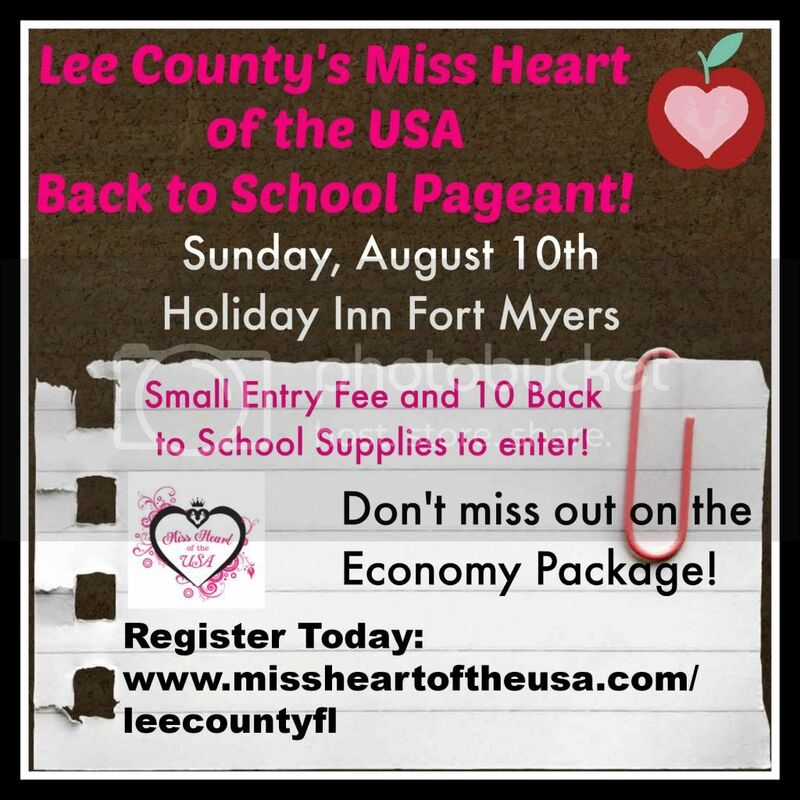 The Miss Heart of the USA is a wholesome pageant that emphases creativity, community contributions, poise and polish in a positive and uplifting competitive environment. We personally recommend registering as a Mother & Daughter team!! This is a great bonding and celebratory activity! No experience necessary. Register to represent your city or county At-large today! 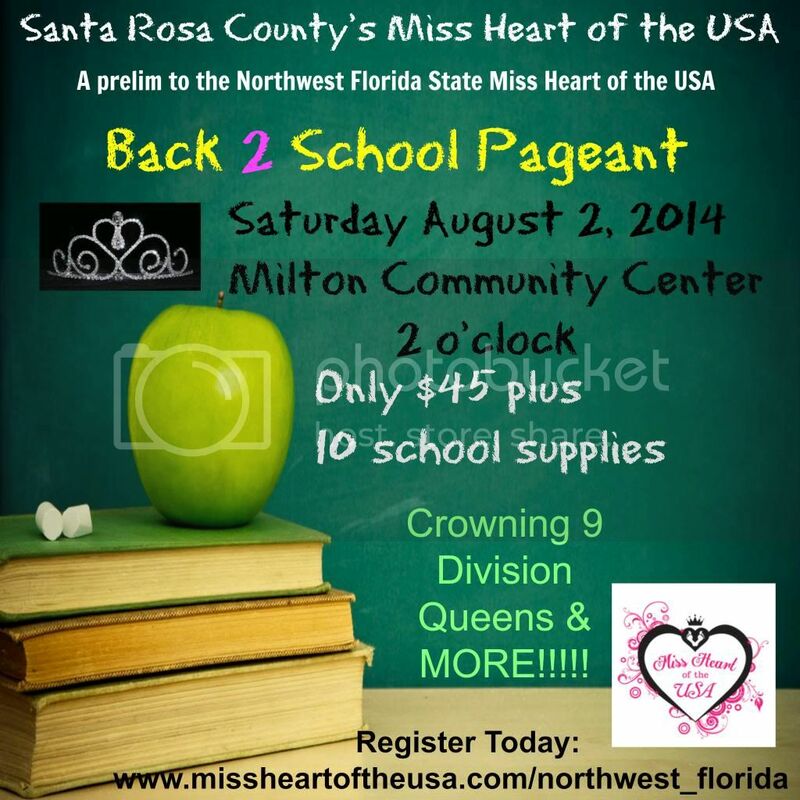 The Georgia State Miss Heart of the USA competition will be in Valdosta on September 5 & 6. When you register let them know Jody & Emma Claire referred you. We look forward to seeing you in September. 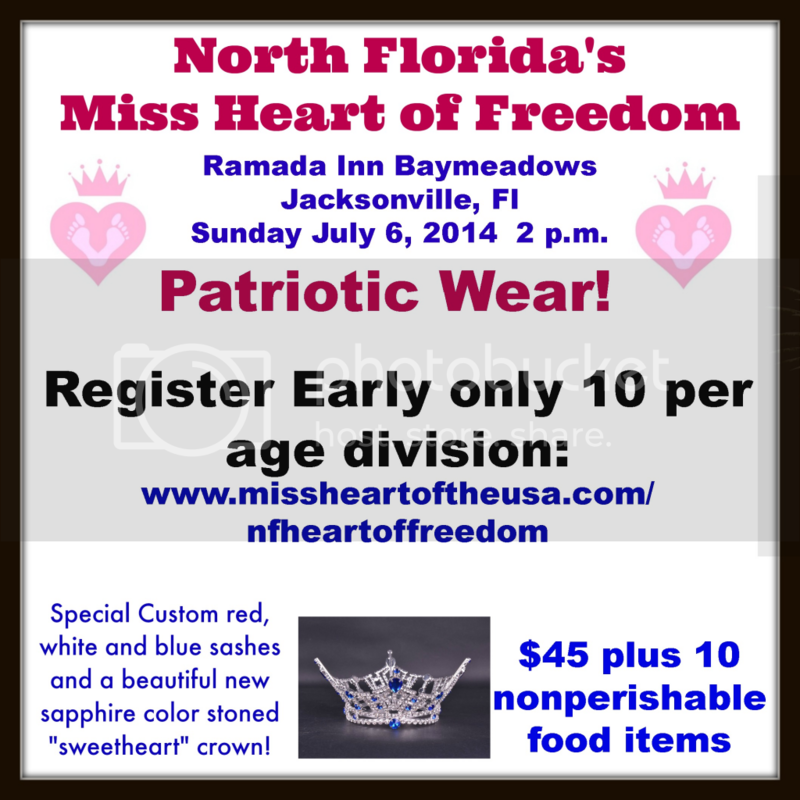 Join us today for the first ever South Georgia�s State Miss Heart of the USA Pageant! Engage with an energetic group of ladies - of all ages - who are serving from the heart and working to �stomp out� hunger in their communities. 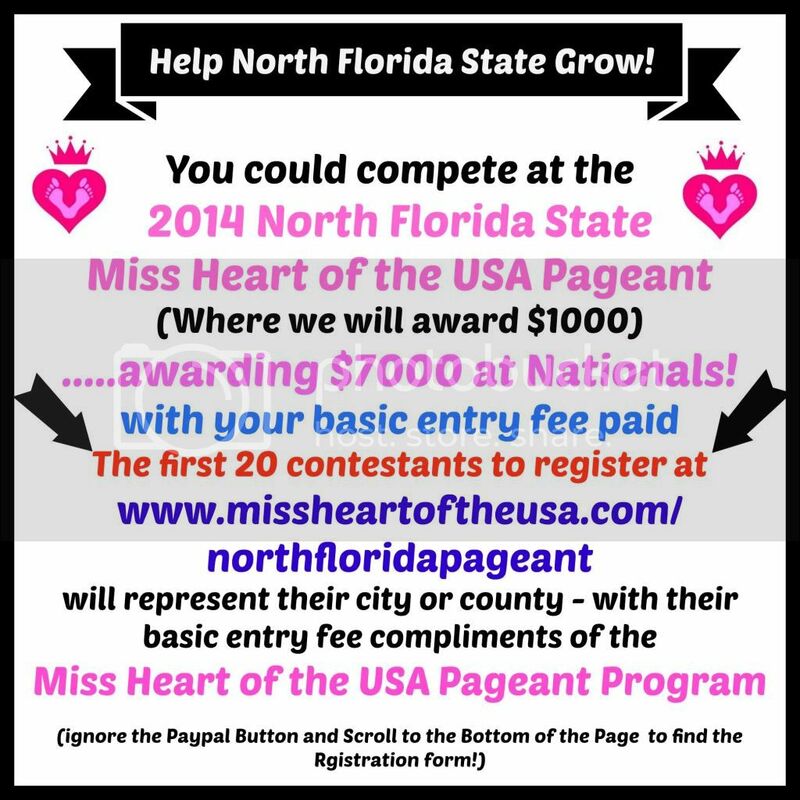 The Miss Heart of the USA is a wholesome pageant that emphases creativity, community contributions, poise and polish in a positive and uplifting competitive environment. We personally recommend registering as a Mother & Daughter team!! This is a great bonding and celebratory activity! No experience necessary. Register to represent your city or county At-large today! 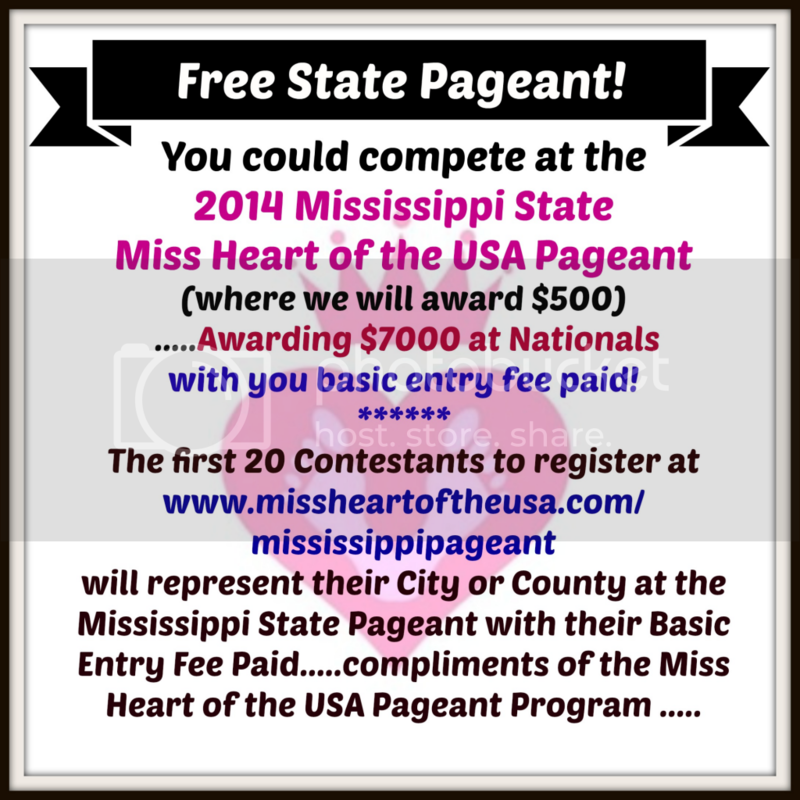 The next two Junior, Teen, Miss and MS at-large registrations will receive their Queen�s kit and entry fee paid to the 2014 South Georgia�s State Miss Heart of the USA Pageant for the LOW price of $49!!! 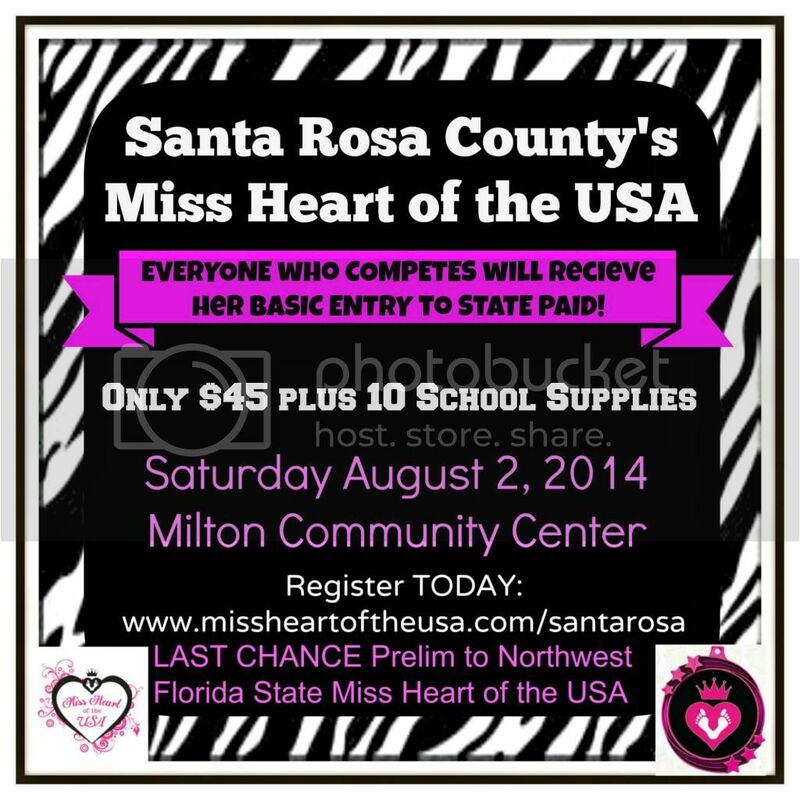 The Georgia State Miss Heart of the USA competition will be in Valdosta on September 5-6, 2014. 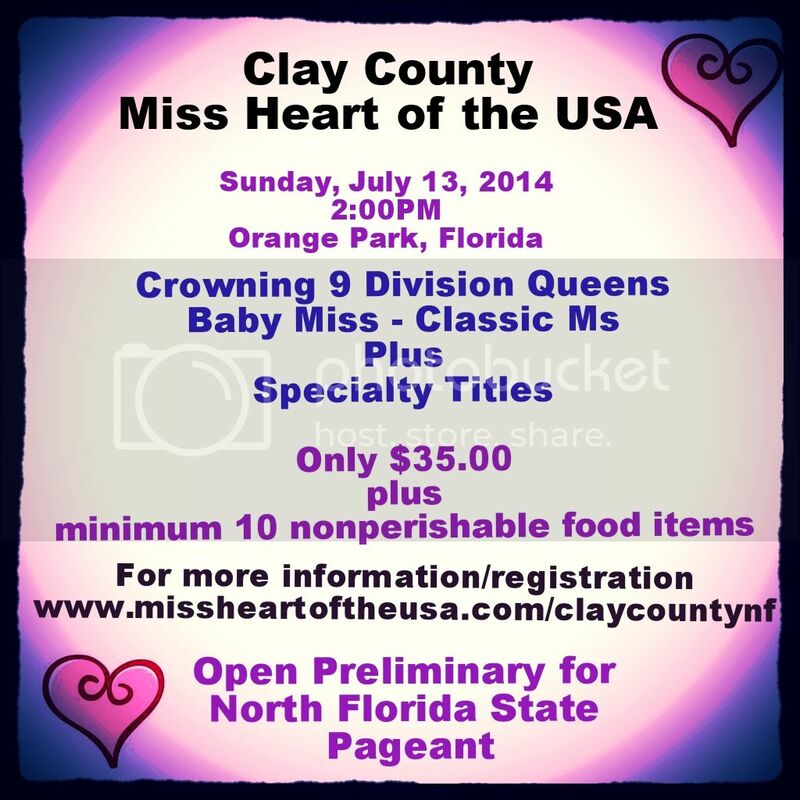 Your Queens kit will contain your Miss Heart of the USA Tiara, Embroidered Sash, Sash Pin, State Packet and Basic Entry Fee to the 2014 South Georgia�s State Miss Heart of the USA Pageant!! 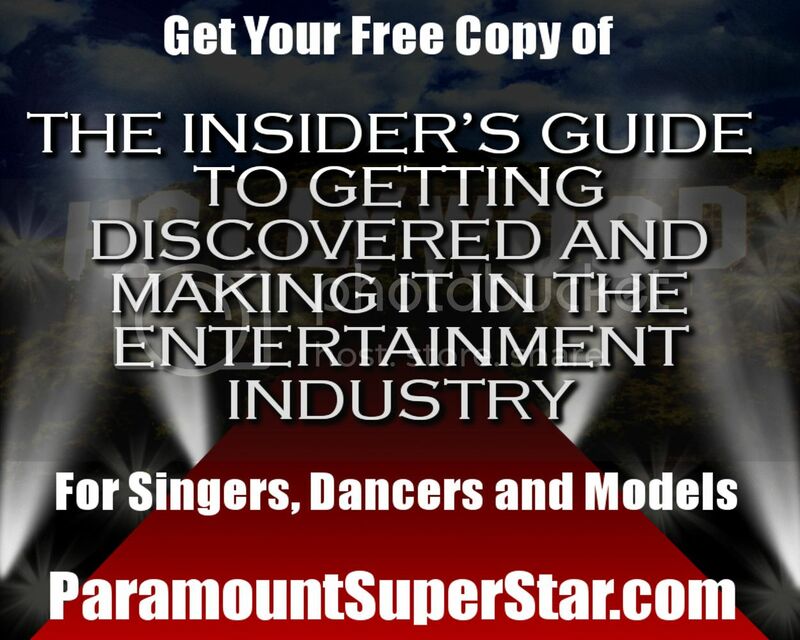 Only two available at this low price for each division�Junior, Teen, Miss and MS.
E-mail paula@missheartoftheusa.com for payment information and any other questions you may have. 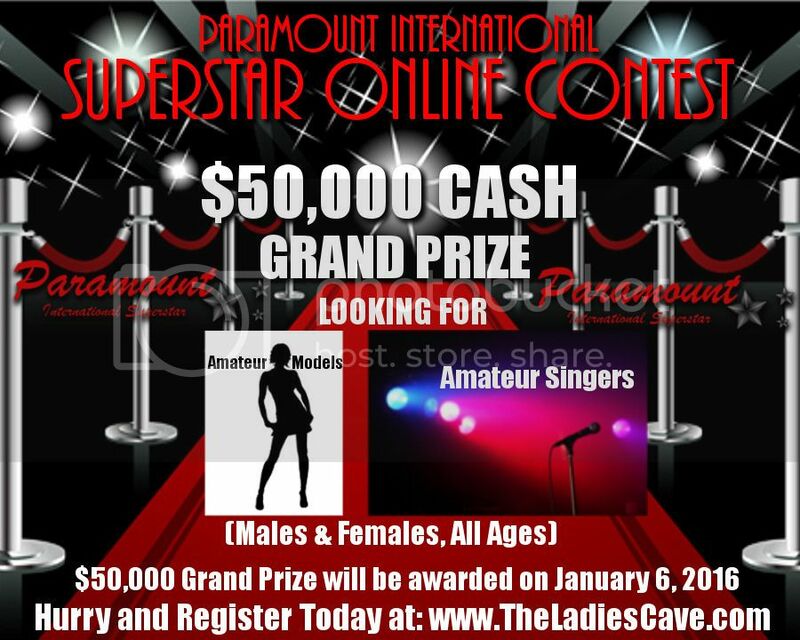 When you register let them know Jody & Emma Claire referred you!! We look forward to seeing you in September.